Ubuntu 11.10 Alpha 2 Released! Toyota Goes Linux! Linux Mint Debian Update Packs, Netflix HD on Android!! 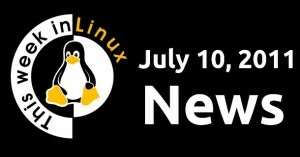 Another awesome week in Linux news, including some distro releases and updates, Netflix HD coming to some Android devices, and more. As always, click “Read More” to see the video and the links to all the stories mentioned, and thanks so much for your support! « Google’s “Don’t Be Evil” Policy Doesn’t Apply to Adsense?? Great episode! Definitely am getting more intrigued by Linux Mint Debian. wow 100 grand thanks totya for supporting linux!!!! Super show, great stuff, and unlike watching Youtube on Ubuntu, it went to full screen first time – rock and roll! I think Toyota is using Linux in their cars and their robots. Actually it looks like there is a comment below yours, and also, are we really going to start that here? thx Jordan your show rocks. I would love to see google sort out your add issues so that you would return to youtube. (b.t.w. I think I would’ve done the same if I where in your shoes) I think you will make a killing using google+ caue youtube and everything is so nicely integrated. Anyway, thanx again! Yes, Droid (or milestone) 3 will have an OMAP4 processor. I’m curious about its GPU, since the Tegra 2 in the Motorola Atrix is so good in this point. (Yet still behind Apple’s A5). You mention Ubuntu using Gnome 3, but as Ubuntu uses Unity, it would be more accurate to say they are using Gtk 3. Haha, i’m proud to drive my yaris now! Great show! And I really like that all comments now can be found here (instead of on utube too). If only Linux worked with my hd5770 and wow . And no Wine didnt work properly with it. Spiffy info and solid delivery of said info! Awesome show. Hello Jordan. If I remember you said that you have a musical education. Do you use any special configuration for alsa and pulseaudio to improve the quality of a sound. Do you use 5.1 acoustic system or something like that? The only issue for me for dayly use of linux is a sound quality. Windows driver gives sound better for me.